We are going nuts for the Isle of Wight Red Squirrel Trust! Have you tried our Nutritious Farmhouse Ryes? Our popular Butter Crunch has had a make over with a brand new look . Designed by Rosie at James Lord Design the range has kept a similar feel to the previous look but has evolved and is now more in keeping with our other products. The Butter Crunch biscuits are a favourite of many, especially as they are perfect dunked. A crunchy all butter biscuit in three varieties. 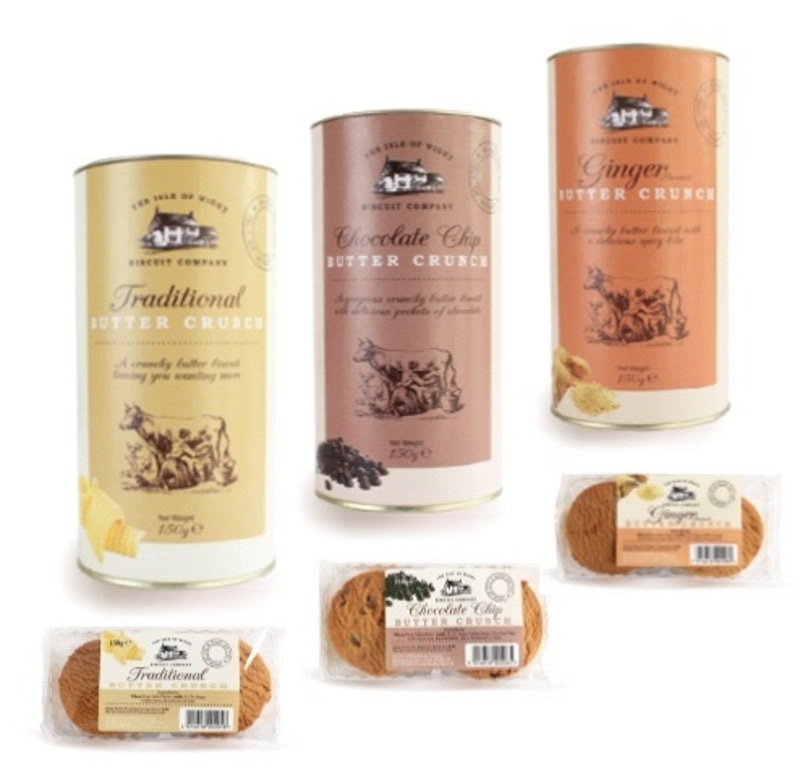 Original (no additions just a gorgeous buttery taste), Ginger (a crunchy biscuit with a spicy bite) and chocolate chip (delicious pockets of plain chocolate). Available across the island at various outlets or here from our online shop!